There has been a lot of news the last few years about the job situation in the world. From my experience it’s actually difficult for companies to find really great employees. I think what’s happened is companies are doing their best to get the right people on their team. They want people that will succeed in specific roles and work to make a company really strong for the long-term. This creates a problem for the marketing executive because it’s up to them to find the best people for changing roles in the marketing world. Here are a few things those great candidates out there are looking for from brands they may considering joining. This is what they want from marketing executives. People are kind of funny in how they operate. I think there is a scale of how much people need recognition for their accomplishments. But no matter where people fall on the scale I think all people want recognition. They want either to get recognized so they can feel good about themselves or they want recognition so they can prove to others how effective they are at what they do. Either way, the best workers out there will be self-driven, but they do want recognition. I was lucky to work with a great marketing executive. He focused on personal growth in the business as a way to fuel company growth. He understood that individuals are driven to perform for themselves, but also for the betterment of the team or of the company. In general, people want to grow and they want to matter. Providing recognition, no matter how small, goes a long way to making your team members happy and getting them to perform at their best. I think or Rand Fishkin, the CEO of SEOmoz. It seems he’s always talking about the company and how it is successful. He talks about “the team” or “Moz”. But he also mentions individuals. People see this and they want to be part of it. Building on the idea of growing I think people want to know that they can grow as individuals while working for you. They want to know that you support their efforts to improve. This could be done in a variety of different ways. You can discuss what people are doing to make themselves better. It may or may not relate to what your company does, but it’s important to encourage it. Maybe you have an employee that wants to learn how to play an instrument or maybe they want to take an online course in coding. Support it. When your employees get better it leads to success in your company. It doesn’t always matter what they improve at because the fact that they’re driven and that they know it’s okay to improve will bleed into all areas of their life. I don’t know if people will actually ask for a framework, but they do want to be able to experiment a little. I was fortunate to work with an executive that encouraged his marketers to look for new ideas and new ways of doing things. But there was always a framework to follow. You kind of had freedom to work and experiment within boundaries. You put a fence around things, but people can still try new things. I think that’s important. People want to be free. They don’t want to be afraid to fail. You don’t want them to have this fear because you’ll never break through to innovation. It seems like businesses do well when people fail at something once and improve. Where you get in trouble is when you keep failing at the same thing over and over while costing the company money or time. Let your employees have room to fail. You want them to be able to try new things while still understanding the importance of processes, efficiencies and profit. 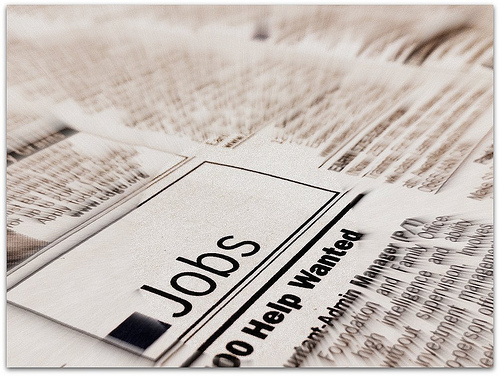 The employment situation is changing, but not in the ways that are often discussed. The real situation for marketing executives is that it’s really hard to find great people to be on your team. You have to make your company appealing to work for and there are a few things people want. People want consistency. That means a consistent paycheck that they can always rely on. That’s big. It gives them some comfort, but people also want room to grow. They want to improve. Foster this and provide recognition and you’ll be an attractive location for the best of the best.